Psychics Crime Detectives and their abilities? There are times when law enforcement officials are baffled by certain cases. Unable to find a missing person, body, weapon, and other important pieces of evidence that is needed to solve a case. When these unfortunate situations arise some police forces turn to some extraordinarily “gifted” individuals for the answers that they so desperately seek. Psychics Crime Detectives have been used by approximately 35% of urban U.S. police forces and 19 percent of U.S. rural police forces at some point to assist in an active investigation. Many Physics have been credited with successfully helping law enforcement officials solve an ongoing investigation. Do these so called psychics crime detectives poses a special ability, or is it just a elaborate hoax? The claims made by psychics are supported only with anecdotal evidence. 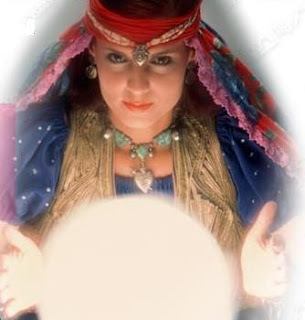 Psychics are careful to make broad predictions, this allows them to bend or manipulate their predictions to fit the facts when the truth comes out. Once a crime is solved many if not all of the psychics false predictions are overlooked and they are believed to poses paranormal abilities. Their have been several experiments carried out by law enforcement officials over the years that truly tests a psychics so called “abilities”. For example, in 1960 a Dutch police officer tested the “ability” of psychics by showing them photographs and various different objects. From the photographs and objects, physics were asked to describe the crime that took place. The results were less then impressive. The results of the experiment supported the notion that the “psychics had failed to provide any information that would have been of any use to an investigating officer”. Their have been many other experiments carried out by different law enforcements agencies from around the world. The results from these experiments are also conclusive. “The research data does not support the contention that psychics can provide significant additional information leading to the solution of major crime”. It seems as though the abilities of so called psychic crime detectives is nothing more than wishful thinking. Lawson, Timothy J. Scientific Perspectives on Pseudoscience and the Paranormal. Upper Saddle River: Person Prentice Hall, 2007.